Highly pragmatic training, delivered by industry experts. Feabhas provides world-class training in embedded software development. Our lecturers each have over ten years' experience in embedded software development. 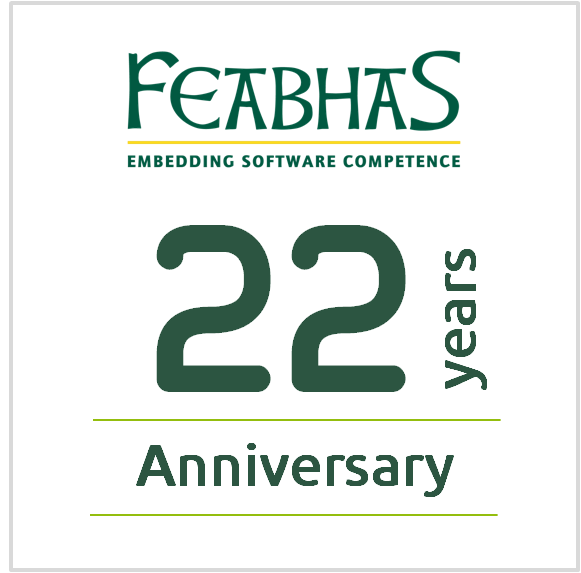 As they provide consultancy and or carry out embedded software development for other organisations, it means that Feabhas training is both highly practical and up-to-date with current practices. In addtion, the Feabhas practical sessions make use of real hardware and tools to complement each of the sections taught. We supply all the necessary hardware, software and course materials so that delegates all have the opportunity to be 'hands on' during the workshops. Developing software standards e.g.DO-178C, ISO 26262, IEC 62304, EN 50128 etc.